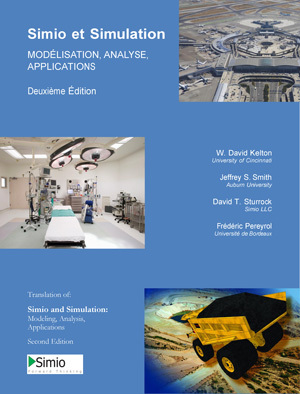 Simio and Simulation: Modeling, Analysis, Applications - 5th Edition textbook site. Enjoy learning a key technology. 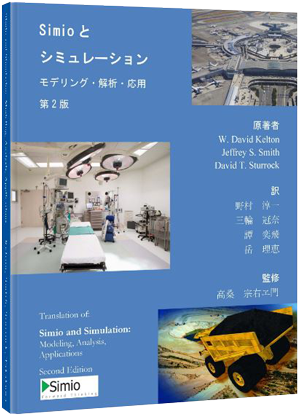 Undergraduates and beginning graduates in both first and second simulation courses have responded positively to the approach taken in this text, which illustrates simulation principles using the popular Simio product. This full color e-book is a pdf with hyperlink support. It has a somewhat narrow format with narrow margins to better support various displays. Note: Because this is a pdf file primarily intended for use on a computer, the display may be less than optimal on a Kindle or other eReader. See sample. Printing and copying are disabled. The full color printed version of this book may be obtained through bookstores, on-line, or directly using the button below. We recommend this color version for the additional clarity of the figures and screen shots. The gray scale printed version of this book may be obtained through bookstores, on-line, or directly using the button below. While missing the clarity of the color illustrations, this version is more economical. 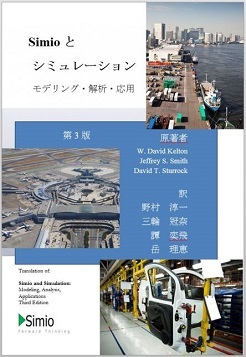 Simio and Simulation: Modeling, Analysis, Applications - 4th Edition textbook site. The new fourth edition (May 2017) is written for Simio Version 9 and later, the latest in simulation technology. In this edition, we added a new chapter on Miscellaneous Modeling Topics including sections on Searching, Balking and Reneging, Task Sequences, Event-based Decision logic, the Flow Library, the Extras Library, and Experimentation using Parallel and Cloud Processing. We also updated and promoted our former appendix on Simulation-based Scheduling to a chapter. And we added a new appendix referencing previous Simio Student Simulation Competition problems. In addition, the coverage of animation, input analysis and output analysis has been significantly expanded. End-of-chapter problems have been improved and expanded, and we have incorporated many reader suggestions. We have reorganized the material for an improved flow, and have updates throughout the book for many of the new Simio features recently added such as the properties window, and GIS mapping support. 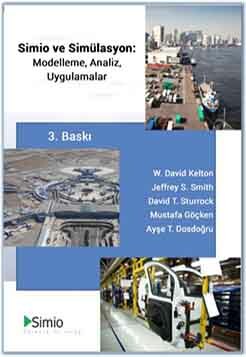 Simio and Simulation: Modeling, Analysis, Applications - 3rd Edition textbook site. The third edition (November 2013) adds sections on Randomness in Simulation, Model Debugging, and Monte Carlo simulation. In addition, the coverage of animation, input analysis and output analysis has been significantly expanded. There is a new appendix on simulation-based scheduling, end-of-chapter problems have been improved and expanded, and we have incorporated many reader suggestions. We have reorganized the material for improved flow, and have updates throughout the book for many of the new Simio features recently added. A new format better supports our e-book users, and a new publisher supports significant cost reduction for our readers. Now errata free - Updated July 2012 with all corrections found to date. Note: Because this is a pdf file primarily intended for use on a computer, the display may be less than optimal on a Kindle or other eReader. Printing and copying are disabled. The Printed version of this second edition book is available online, through bookstores, or using the link below.